tables to eat around and sofas to sit on. Your gently used furniture and housewares have the power change lives. Learn where, what and how to donate. Don't let your mattress end up in a landfill. 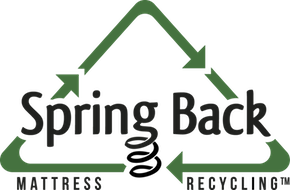 Learn more about our mattress recycling program. Put your used goods to good use! Donating your gently used furniture, housewares, kitchen items, linens & other items makes a house a home for our clients. Your financial support transforms lives, providing sustaining support for local families. Any donation, large or small, goes straight to our mission – and builds the foundation for healthy, happy homes. We rely on people like you to help us achieve our mission. Volunteer at NW Furniture Bank through our corporate and individual volunteer opportunities.